The reverse ravelin? 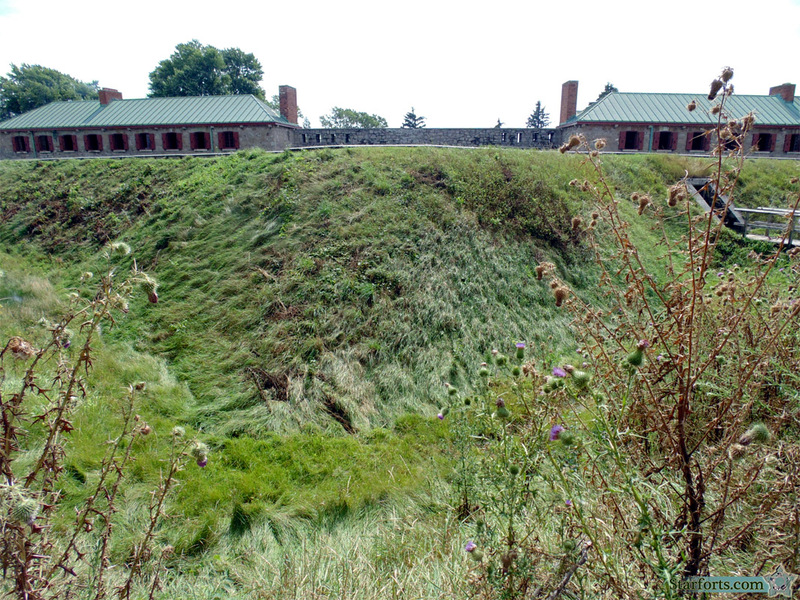 This is the salient point of the earthwork that protects Fort Erie from its wicked terreplein. Surely this enterprise has some cool-sounding French name. C'est probablement encore un ravelin.